A friend bought this back for me from Ottawa 7 years ago. I still have it and I still use it. Imagine not loosing a tuner in 7 years despite playing three times a week on average. 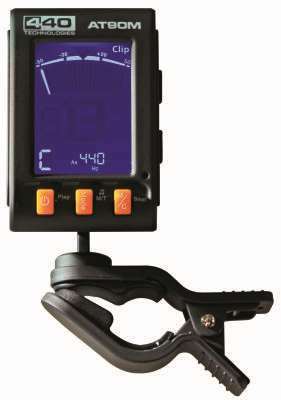 It is the only tuner that I have seen that fits my fiddle. Like....really fits!!! I can leave it on and play and tune quickly between songs. I am very close to buying another one because it?s a bit wobbly after 7 years. AND oh yes, by the way, it tunes the instrument. I bought a tuner last year to tune my fiddle. Left it in the case for safe keeping until I would need it again. Used it once came to use it again today for my sons ukelele and tried to turn it on it would not stay on tried a few more times and it went blank. Looked at battery all was fine so changed to a new battery no change. The tuner wont turn on. One time use and not worth the 30.00 I paid. Extremely dissappointed.